Mohanlal, who is basking in the success of three back-to-back-blockbusters, bagged the 9th Asianet Film Best Actor Award. 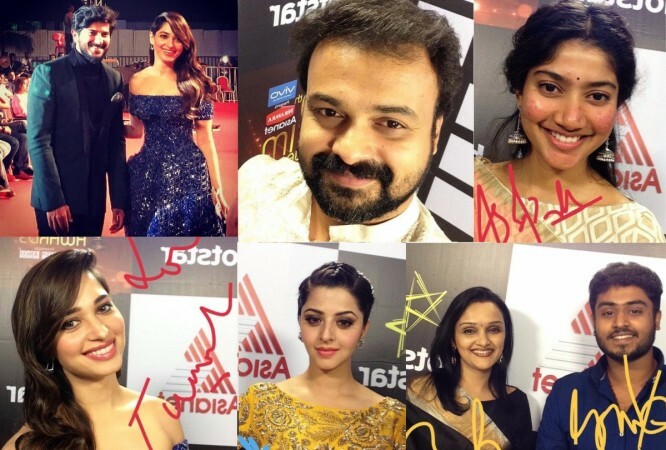 The much-awaited 19th Asianet Film Awards concluded on a grand note at Adlux International Convention Centre in Angamaly, Kerala, on Friday, January 20. The event was attended by popular personalities of Mollywood, including Mohanlal, Dulquer Salmaan, Manju Warrier, and Kunchacko Boban. Actress Tamannaah was a chief guest from a movie industry of another language at the ceremony. The event was also attended by Aparna Balamurali, Aparna Vinod, Malavika Nair, Gayathri Suresh, MG Sreekumar, Manoj K Jayan, Jagapathi babu, Vineeth Sreenivasan, Nadiya Moidu, Antony Perumbavoor, Sai Pallavi, Rajisha Vijayan, Anusree, Stephen Devassy, Siddharth Menon, Sijoy Varghese, Vysakh, Renji Panicker, Dinesh Prabhakar, Peter Hein, Jomol, Gokul Suresh, Anu Sithara, Vineeth, Kalabhavan Shajon, Vishnu Unnikrishnan, maniyanpilla Raju, Kaniha, Vinu Mohan, Muthumani, Reenu Mathews, Parvathy Nambiar, Lakshmi Gopalaswami, Vedhika, Sshivada Nair, Aashiq Abu and Divya Pillai, among others. While superstar Mohanlal bagged the 19th Asianet Best Actor award for his performances in Oppam and Pulimurugan, Manju Warrier won the best actress award. Priyadarshan's directorial venture Oppam was selected as the Best Movie of the Year. Dulquer was given the Best Actor Critics Award for his notable performance in Rajeev Ravi's Kammatipaadam and Sameer Thahir's Kali. Mohanlal, who is basking in the success of three back-to-back blockbusters, also performed a few action sequences from the action thriller, Pulimurugan, for the audience. Sub-titlist Vivek Ranjit, who attended the event, shared the photos of the superstar's live performance, and wrote on Facebook: "Pulimurugan live! And he just did those incredible fights on stage including that famous flip where he hangs on the fighter's neck & flips him down and the superhero landing from the movie , live on stage, without strings! Only this man can do this! [sic]." The team of Badai Bungalow. comprising Mukesh, Ramesh Pisharody, Dharmajan Bolgatty, Arya and Praseetha Menon, also entertained the audience.